Sunscreen Film Festival presents Summer Camp!! Hey Tampa Bay film fanatics... Jessica here, filling in for Lindsey ~ but I&apos;m here with a very exciting and noteworthy announcement from the Tampa Bay film community. 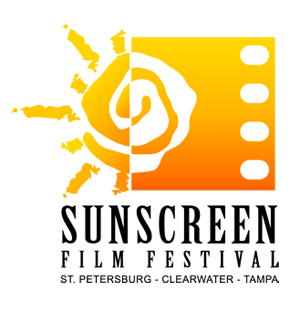 The Sunscreen Film Festival of St. Petersburg, Clearwater, and Tampa is proud to announce their Film School Summer Camp happening this July! That&apos;s right, a program perfect for those interested in the art of film and excitement of storytelling. The camp focuses on imagination as children development story lines, compelling sequences that build tension, and even write a short script. Campers will receive a great overview of cinematography, with industry experts using professional equipment! Four lucky campers will even be choosen to have their films enter actual production... the remaining days of camp will be devoted to post-production in which films will be editied, music added, credits appended, etc. The completed films will then be shown at the SunScreen Film Camp Festival on the last day of camp!!! (Friday, July 17 from 6:30 to 9:00 pm). Lastly, How Do I Sign up??? Click here to sign-up now!! !